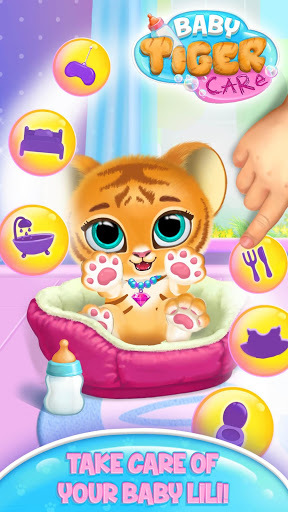 We saw how much you loved baby tiger Lili from Kiki & Fifi Pet Hotel and created this adorable little game for you! Now you can have Lili as your virtual pet! Take care of the tiny tiger, watch her stats and enjoy her unbearable cuteness! 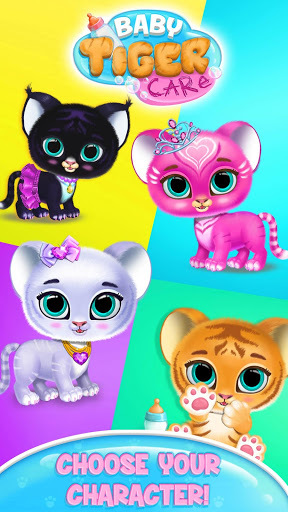 Change Lili’s fur to black, silver, pink or even purple! Mix and match! Add some fun accessories and cute clothes! Create a truly unique look for your virtual pet! Lili needs to fill her tummy with yummy food! Offer her what you have in the fridge and watch how she reacts to different foods! Broccoli? Eww! Confetti cake? Yum! And what about some cockroach jelly or hot pepper? 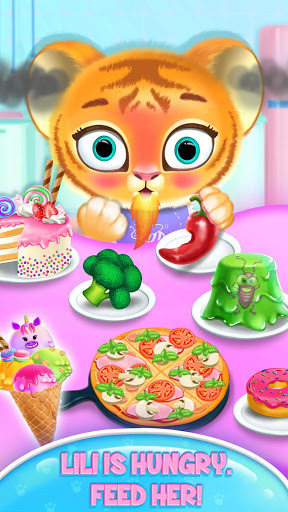 Don’t forget to take Lili to the Cafe from time to time and treat her with her favorite pizza or ice cream! Just as any other baby, sometimes tiger Lili gets messy and dirty. Wash her at home with lovely shampoo and a soft sponge or visit the Spa for extra cleanliness and stress relief. DOn’t forget to teach baby Lili how to use the toilet too! Baby Lili needs a lot of energy for more adventures! Sing her to sleep in her cozy baby bed. Enter the magical world of Lili’s dreams where fluffy clouds, colorful ice cream and adorable sheeps live! Save the baby tiger from her nightmares! Go for a walk with baby Lili and visit the Play House. Solve jigsaw puzzles, play memory games and express your creativity while coloring! 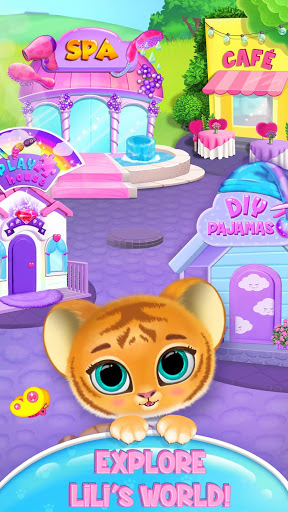 Design unique PJ’s for tiger Lili: cut, sew, choose colors and patterns! Explore the street and find a hidden poop game!